An angina attack indicates coronary artery disease and is a warning sign for a heart attack. Angina appears as a mild to sharp pain in the upper left chest. It's considered an early warning sign of a full heart attack, and requires immediate attention. You’re climbing a flight of stairs and suddenly you experience the sensation of pressure in your chest. It might feel a little like heartburn, but you know it’s more serious. What causes chest pain like that? Are you having a heart attack? Or is it an angina attack, your first indication that you have heart disease? Angina is the clinical term for chest pain caused by blockage in the arteries that supply blood to the heart muscle. These are called the coronary arteries, and where there is enough blockage to cause chest pain or other symptoms, you are said to have coronary artery disease. The blockage is a build-up of cholesterol, fats, and other waste products that form plaques in the arteries, narrowing the path for blood to flow through. 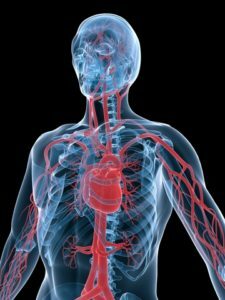 Arterial blockage is also known as atherosclerosis, and one of the great risks of this condition is a plaque rupturing and forming a blood clot. Plaques can also narrow arteries so much that blood flow to the heart muscle is significantly reduced. With less oxygenated blood to keep the heart muscle healthy, the result is an angina attack. Think of it as a cry for help from your heart. Because when the blockage is so great that blood no longer reaches the heart, you’re looking at a heart attack. To have a better understanding of what causes chest pain during an angina attack, you need to know a little about cholesterol. The word “cholesterol” has a negative connotation, but in reality, it’s an important substance in every cell. It helps the body produce hormones and vitamin D. It’s also important for digestion. Your body makes cholesterol in the liver. Low-density lipoprotein (LDL) cholesterol is the waxy substance that can form plaques in your arteries. High-density lipoprotein (HDL) cholesterol actually helps remove LDL molecules from the bloodstream. Even if you have a high level of HDL cholesterol, LDL cholesterol can still build up in arteries throughout the body. When it occurs in the coronary arteries, the heart becomes vulnerable to a heart attack, or at the least, an angina attack. If you experience an angina attack after exercise or any type of exertion but at no other times, it’s called “stable angina.” That means it’s predictable. You’ll know what causes chest pain if you feel the same discomfort after exertion. But if you experience chest pain at unpredictable times—after exertion, when watching television, eating a meal, or even sleeping—the condition is known as “unstable angina.” This is the more serious type angina. Individuals who have unstable angina are at a higher risk for a heart attack. Stable angina tends to last several minutes and then disappear with rest. It may feel like a gas bubble high up in your abdomen. 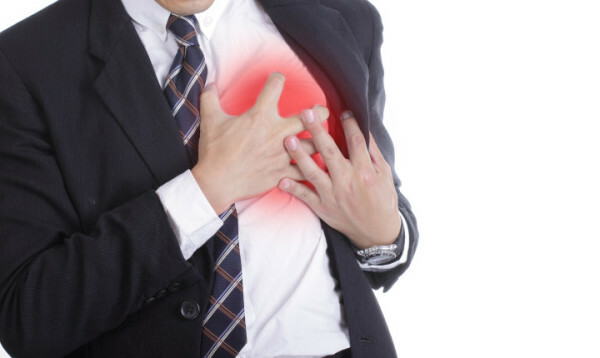 Stable angina is also what causes chest pain that sometimes radiates out to the arms or back. Unstable angina comes on suddenly and usually lasts longer and feels worse than stable angina. Rest doesn’t help either. Now that you know what causes chest pain, how do you relieve it? In some cases, you can avoid an angina attack by controlling triggers. This applies to people with stable angina. If you know that when you exercise beyond a certain point, chest pain comes on, you can train yourself to stop short of that point. If spicy food or stressful situations are your triggers, you can change your behaviors to avoid them. For many people with serious angina, stable and unstable, medications are helpful. Drugs called nitrates, including nitroglycerin, can sometimes help prevent angina attacks. They can be taken in pill form or worn as a patch on the skin. Nitrates work by relaxing the blood vessels to improve blood flow and to help slow the heart rate. You may also be prescribed a statin medication, which can help reduce LDL cholesterol in your arteries. These widely prescribed medications are associated with a significantly reduced risk of heart attack. But if your coronary arteries are so severely blocked that a heart attack appears imminent, your doctor may advise you to undergo a procedure called angioplasty. It involves a catheter that is threaded through your blood vessels (starting either at your groin or a wrist) to the portion of the heart that is blocked. There, a tiny balloon is inflated, squeezing the blockage against the side of the artery and opening up the artery for better blood flow. Sometimes a small flexible mesh tube called a stent is placed at the site of the blockage to help keep the artery open. What causes chest pain is the same thing that causes heart attacks. But if you start managing your cholesterol levels and following a heart-healthy lifestyle that includes weight management, regular exercise, and quit smoking, you may be able to avoid an angina attack. It will take work on your part. But by following your doctor’s advice and sharing details about angina episodes, you may be able to live a heart-healthy life for a long time. a heart attack, angina, angina attack, artery disease, atherosclerosis, blood clot, chest pain, cholesterol, cholesterol levels, coronary, coronary arteries, coronary artery disease, digestion, exercise, food, having a heart attack, hdl, hdl cholesterol, healthy life, healthy lifestyle, heart attack, heart attacks, heart disease, heart healthy, heart muscle, heartburn, high density lipoprotein, ldl, ldl cholesterol, lipoprotein, low density lipoprotein, muscle, nitrates, pain, quit smoking, reduce ldl, reduce ldl cholesterol, risk of heart attack, skin, smoking, stable angina, statin medication, stressful situations, unstable angina, vitamin, vitamin d, weight management. Very helpfull information.I am having chest pain that extends to my arms and back (stable form) whenever i exercise. How it can be treated with medication/ Exercise?